Everyone knows the way to San Jose by now. But finding its pulse and unique voice is the new challenge of the day, one that Cellista has taken head-on in her debut solo album, Finding San Jose. 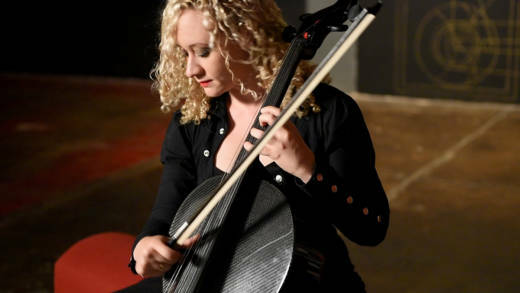 Cellista (born Freya Seeburger in 1983, in Colorado) arrived onto the San Jose art scene during the autumn of 2010; she firmly planted her black Luis & Clarke carbon fibre cello into the soil of Silicon Valley and has nurtured its roots ever since. Ask her about being a musician in San Jose and she’ll tell you a love story full of hopes, accomplishments and heartbreak. Each track of the album is the response of a musician to finding an independent voice in a place bustling with talent and creativity, both often overshadowed by the tech and manufacturing industries. 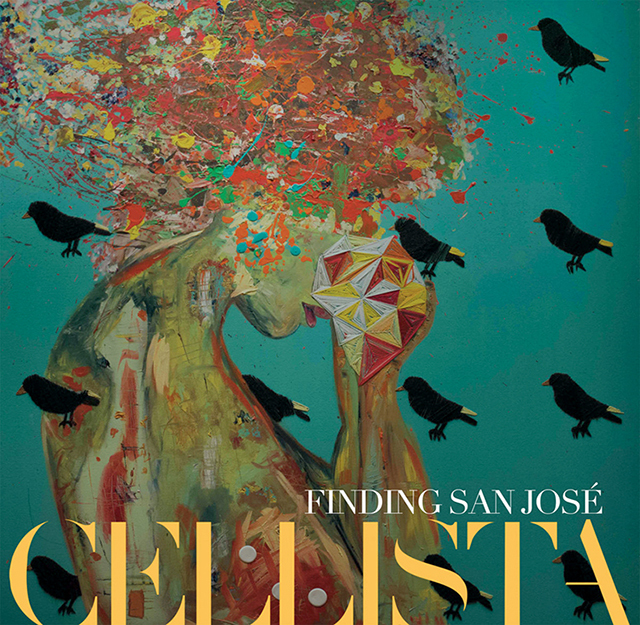 Cellista, 'Finding San Jose' album cover. 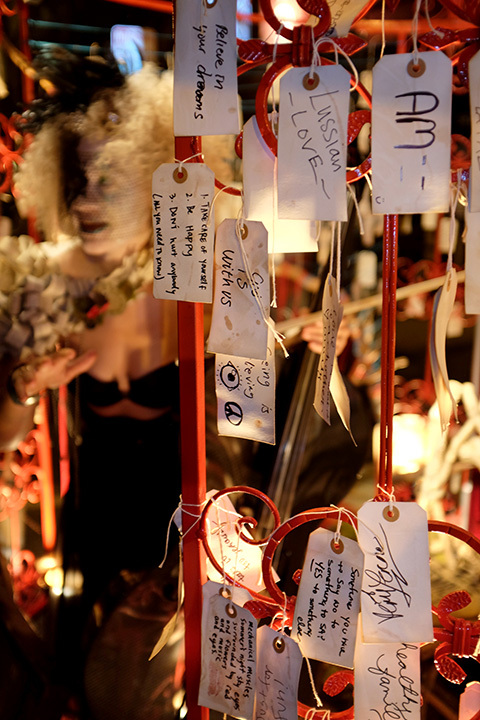 Cellista has continued her tag-gathering at different events over the years, and has now amassed over 1,000 tags. A few of those initial tags appear on the album on “A Conversation at Trials." “I took eight of those tags at random and I gave them to poet David Perez," she explains. "I had him create a poem from those eight tags, and I also gave him eight prompts of my own, and he created this collaged ‘found’ poem which couldn’t exist without San Jose." It is this broad creative process that makes the album an overall brilliant gem. True to her “pastiche” curatorial style, this inclusion and collaboration with other creatives is what makes Finding San Jose a captivating and mesmerizing listening experience. The roster of eclectic performers featured on the album include Rykarda Parasol, Emcee Infinite, hip-hop artist Dem One, and the Juxtapositions Chamber Ensemble. The distinct differences of genre or styles from song to song might be jarring, were it not for the flow of Cellista’s cello compositions, giving the listener a sensation of being right alongside her. Live performance on the occasion of Cellista's interview for KQED Arts; filmed and edited by Brian Eder. Indeed, letting one's imagination conjure the feeling of leaves crunching beneath the feet and the expressive faces of city dwellers passing by in “St. James Park” changes one's perspective of San Jose. Whether you live here or not, it will be a new one that connects you to an alluring persona you can fall in love with -- which is what Cellista intended all along. Cellista premieres 'Finding San Jose' in a theatrical album release incorporating film, dance, poetry and theater on Saturday, Oct. 29, at Little Boxes Theater in San Francisco. More details here.